working with local business owners to promote their services & products. Each advertiser receives magnets to give out to their customers and are encouraged to support other local business. This custom magnet is great for babysitters and caregivers, and the best part is your business is seen daily. Looking for a new way to advertise? 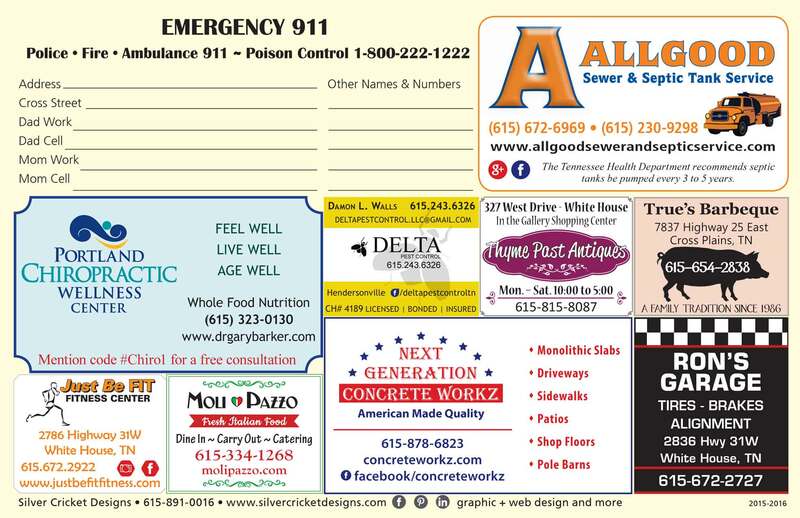 ~ Each ad space receives 40 magnets to distribute; buy 2 spaces receive 80 magnets, 3 spaces – 120 magnets, etc. Call today to advertise your business! Looking for other advertising tools, such as business card size magnets, vehicle magnets, signage, ink pens, etc? Call Silver Cricket Designs for a quote!